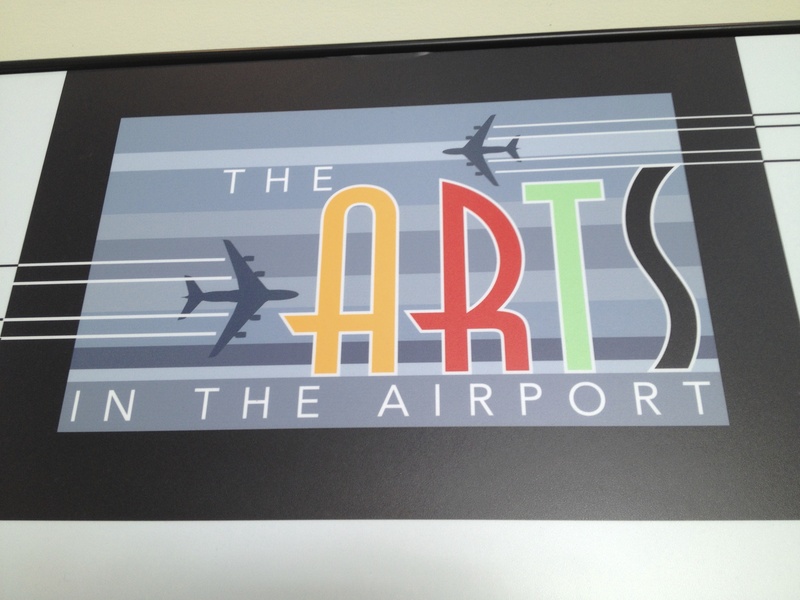 Culture awaits you: Arts in the Airport! | Oh, the Places We See . 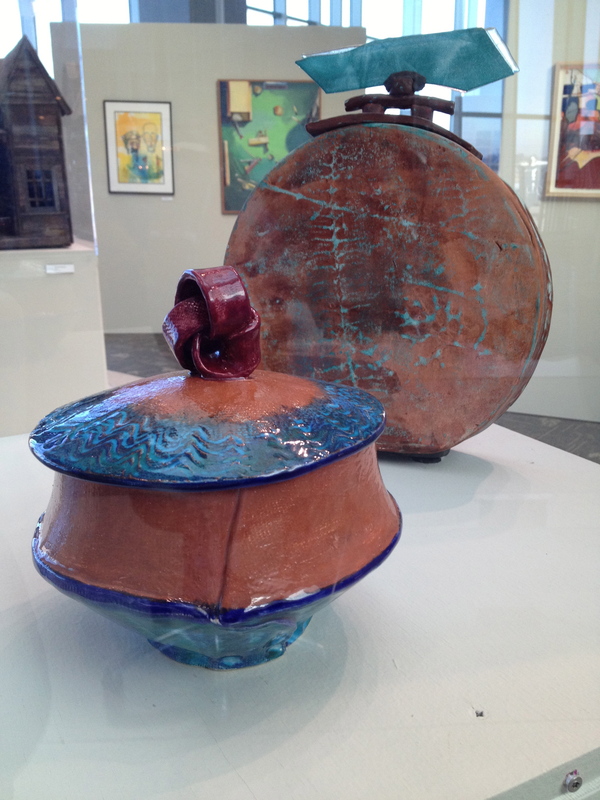 . .
Culture awaits you: Arts in the Airport! Since flying has become my transportation of choice lately, I find that I have definite airport preferences: I like quality shops, local and gourmet restaurants along with fast food, a Starbucks in every terminal, and art. 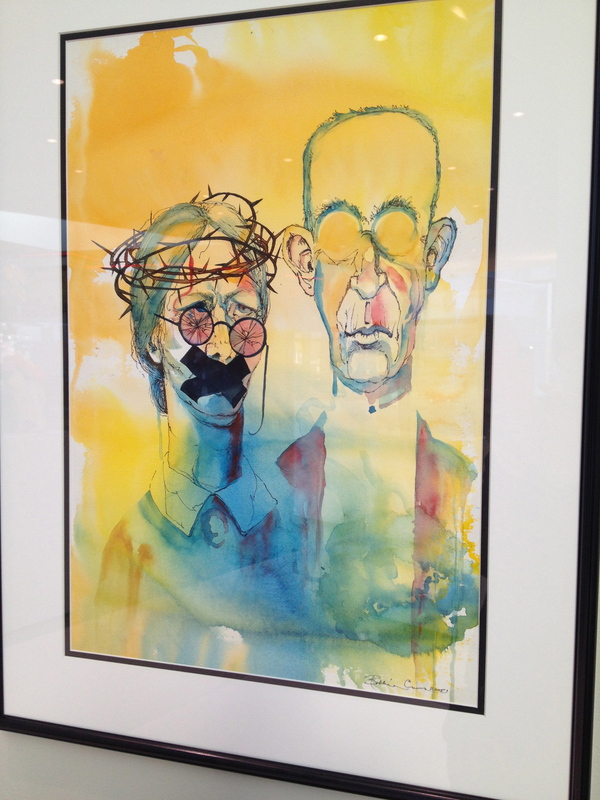 Yes, I’m drawn to art in airports. Especially in my favorite airport: McGhee Tyson — in my own hometown of Knoxville, Tennessee. McGhee Tyson is small compared to major airline hubs and multi-terminal airports. But it’s that smallness that appeals to me. I like knowing that there are only two ways to turn after going through security, and if I go left when I should go right, I’ll still only be a few steps from getting back to where I need to be. Sometimes when I’m redressing myself (!) after going through the scanning process, I see something that really catches my eye like the newest exhibit of Arts in the Airport! Sponsored by the Arts & Culture Alliance of Greater Knoxville (www.knoxalliance.com) and the Metropolitan Knoxville Airport Authority, this interesting exhibit of 2- and 3-dimensional artwork greets me right past the security gate and makes wait time far more tolerable. More cultural, too. 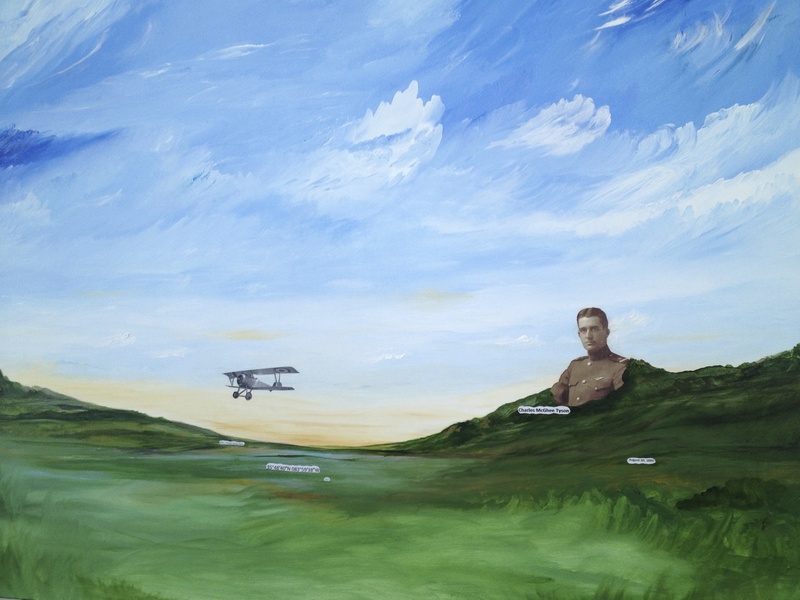 Positioned in the center is Shohreh “Nazzy” Hashemian’s “Birth of TYS”, a large mixed media and acrylic piece depicting U. S. Navy pilot Charles McGhee Tyson (lost on patrol in WWI) for whom the airport was named. This quilt entitled “For Munner, Who Taught Me to Love Flowers” by Jake Ingram won an Award of Merit. 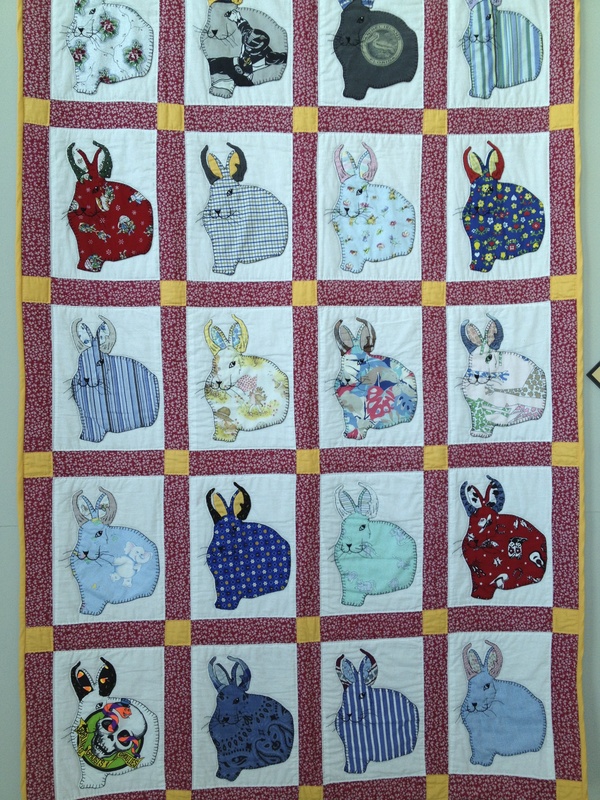 The close-up shows off the blanket stitching around bunnies of various fabrics. 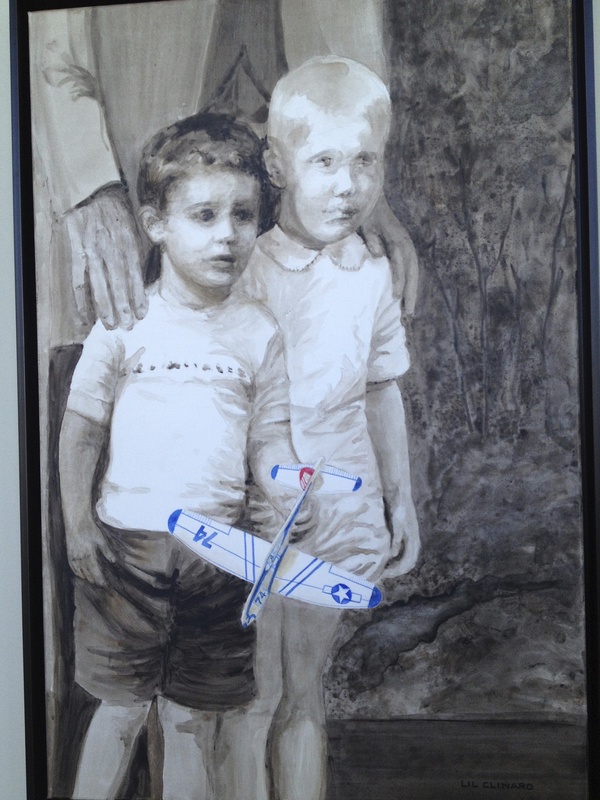 Lil Clinard’s “74 Toss Glider (circa 1950)” reveals the wonder of children in this watercolor on canvas. 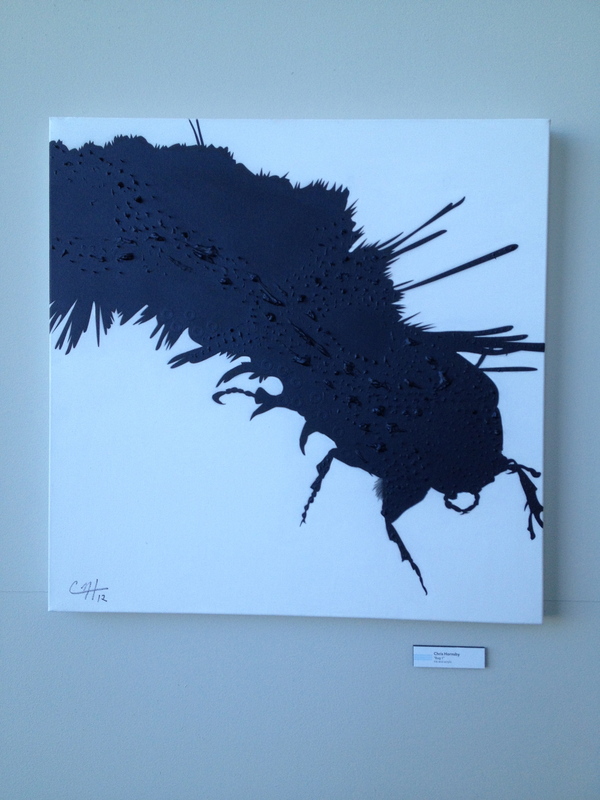 A most graphic black ink and acrylic “Bug 1” is Chris Hornsby’s entry. You can definitely see this one from a distance! Unlike “Bug 1,” this rubber stamped monotype had to be examined more closely. 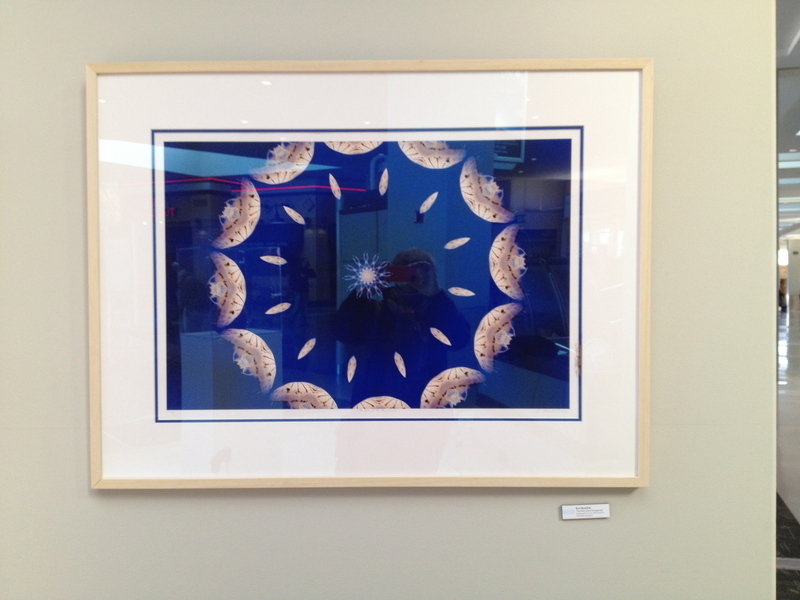 Carl Gombert’s “Gnomandala XIV (Flight)” features tiny black images carefully arranged in circles. 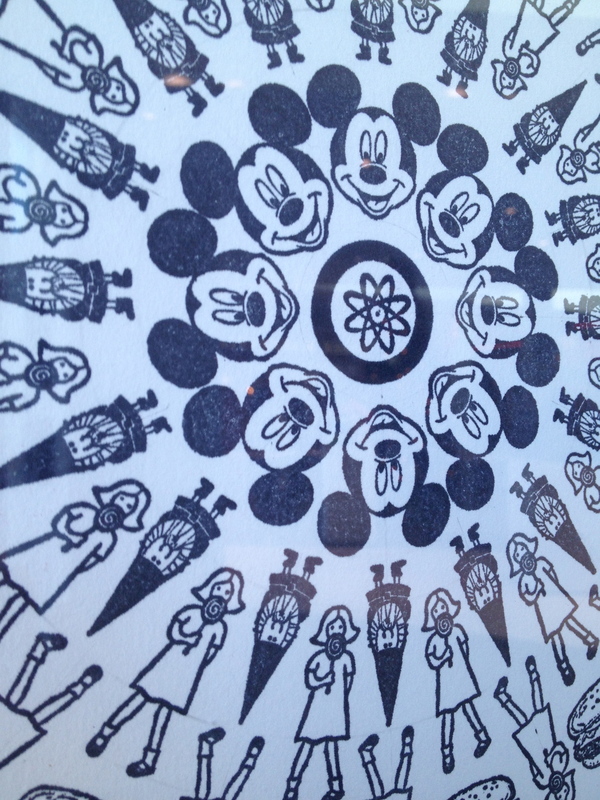 From afar, it’s an interesting geometric piece, but up close the images of Mickey Mouse, Porky Pig, and the Cracker Jack logo just make me smile! These two shots of a lithograph by Emmy Lingscheit will help you examine this more closely, too. 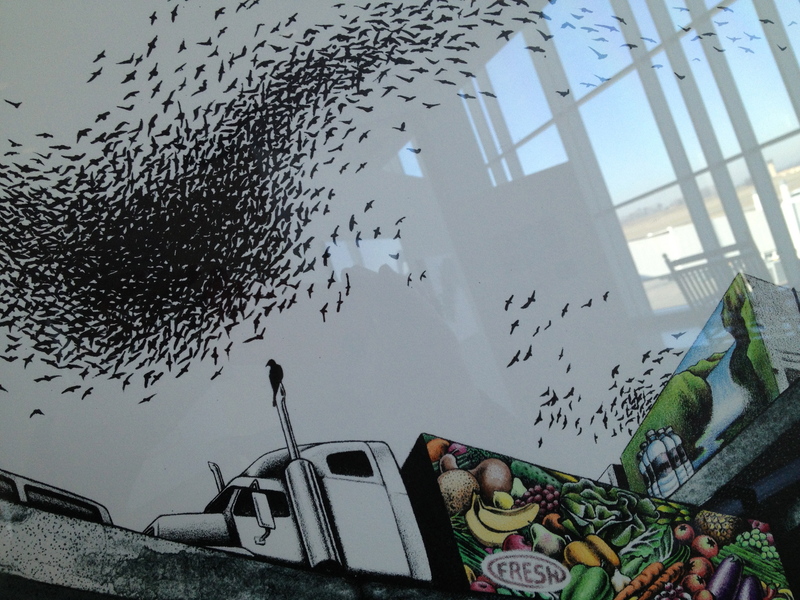 Entitled “Interchange,” it offers a glimpse of the intersection of two 18-wheelers on the interstate while flocks of birds fly clustered in an interesting pattern overhead. Love the color and details in this one. “The Pets of the Protogenois” also bears a closer look. Artist Eric Buechel labeled the medium as a “Digiograph print on Hahnemuhle hot press rag paper,” but I just call it “stunning.” Whatever creatures these are (jellyfish? ), they look even better lined up in circular formation! Acrylic cases held 3-dimensional art like this creation by Raluca Iancu: “Pile Up.” The label accompanying it reads “Screenprinting (assembled in 3D).” And when you walk around it, you really get a sense of the creativity and skill it took to complete. If you’re passing through McGhee Tyson, allow a little extra time. 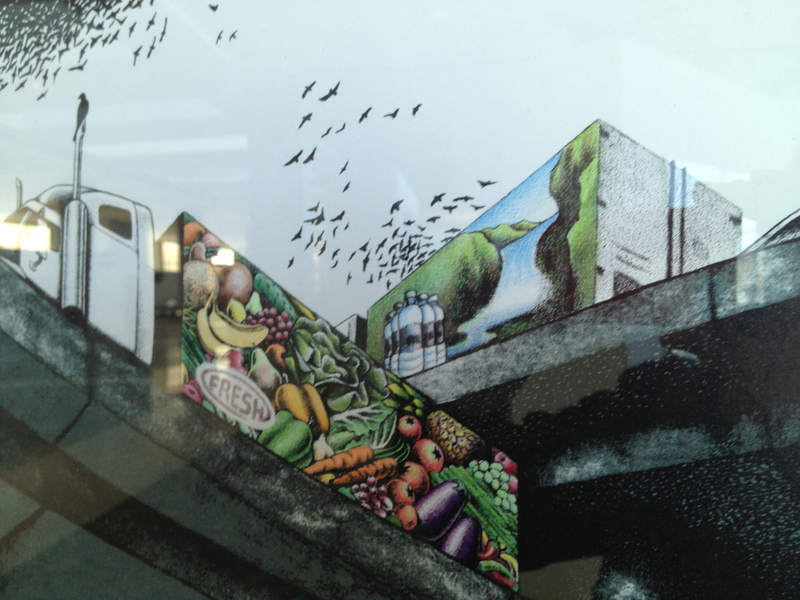 You just may want to check out “Arts in the Airport” and get cultured!! This entry was posted in Travel and tagged art, Arts & Culture Alliance of Knoxville, Bobbie Crews, Knoxville, Lil Clinard, McGhee Tyson Airport, Metropolitan Knoxville Airport Authority. Bookmark the permalink. 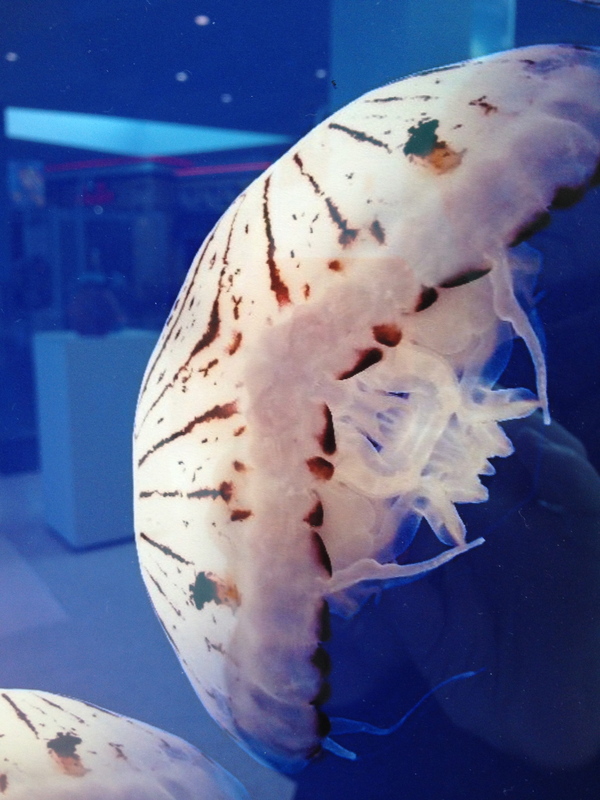 15 Responses to Culture awaits you: Arts in the Airport! Hey Rusha. 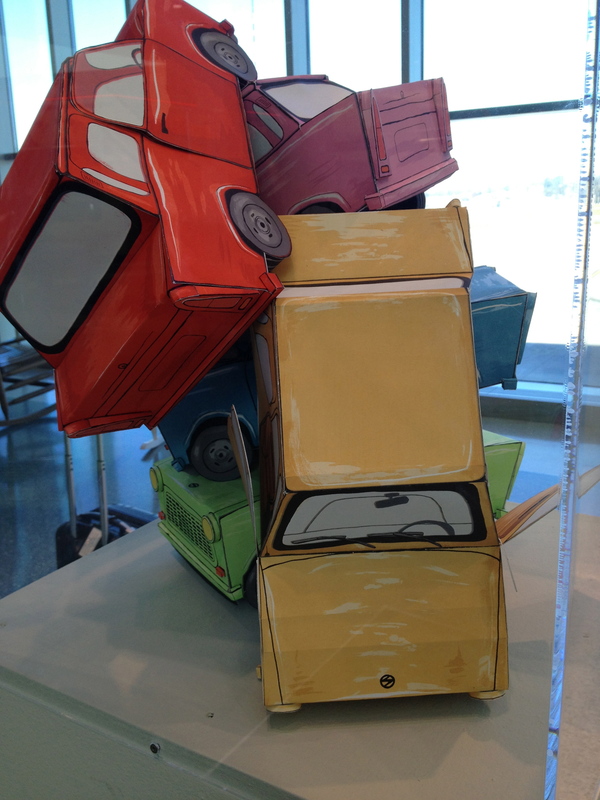 This article is about the best airport in the US, and there’s no mention of cool art. Strange, no? I guess the coolness factor is in the eyes of the beholder! If my art or photography had been accepted into a show like this, I’d feel pretty cool. Hmm. Maybe we should both submit something from our travels! Happy Labor Day! Well how darned COOL is that?! Great post! Thanks for reading and commenting. 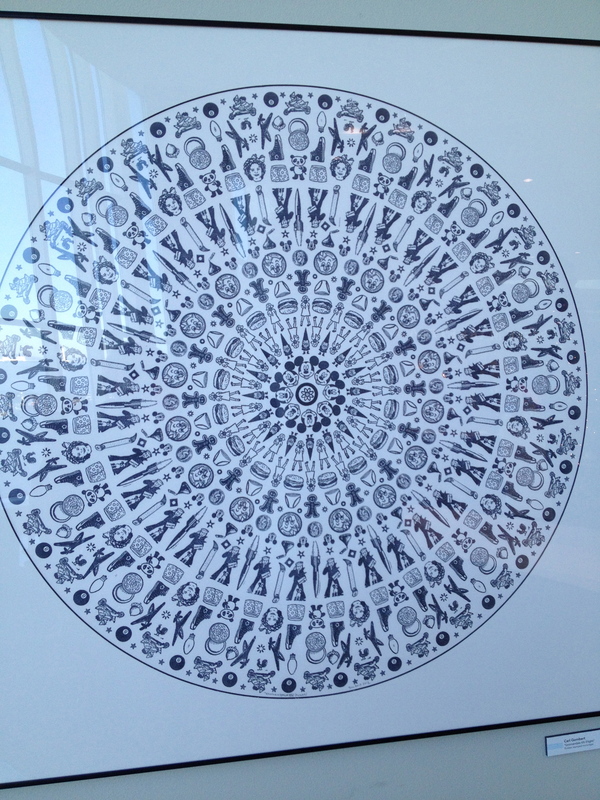 I LOVE the art and look forward to seeing it each time I visit our airport! Oh, Rusha, how excellent! I loved so many of them, but I think “the wonder of children” has stuck with me the most! My nephews would DIE to see the pile of cars! LOL! It’s always fascinating to me to see what artists create. I’m always wondering, “How’d they even think of this? ?” Thanks for reading! You are so right! I hadn’t really thought about the calming effect, but now that you mention it, I do feel better when I’m focused on what’s new in different airports rather than what’s being scanned! Thx for reading! 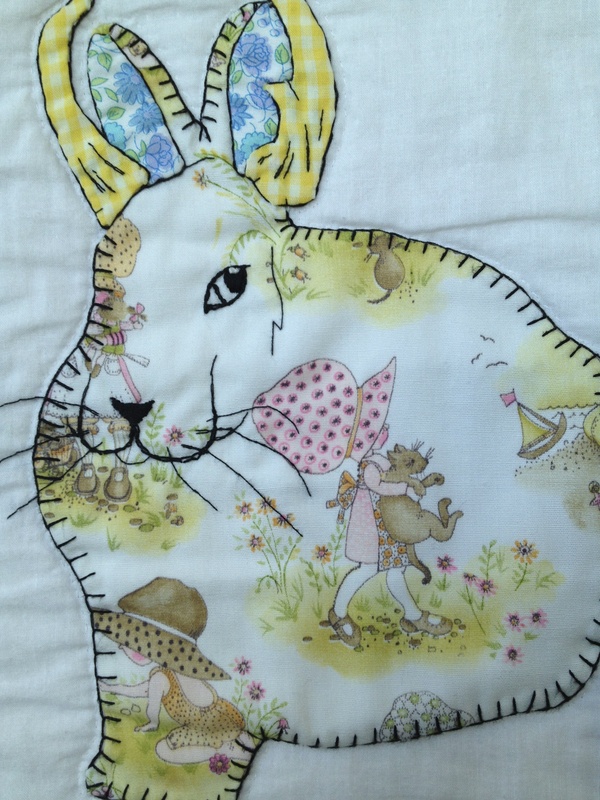 Happy Easter and what a nice blanket stitching of bunnies. Thanks for reading and commenting! And a very Happy Easter to you and yours! Hi Rusha – nice post, I love airports! Thank you again for nominating me for the Very Inspiring Blogger Award! I wanted to let you know that I finally made my ‘acceptance speech’ (http://elkemurphy.wordpress.com). We really are fortunate! And our airport is so pleasant to come home to after being in the enormous ones! Thanks for reading and commenting!